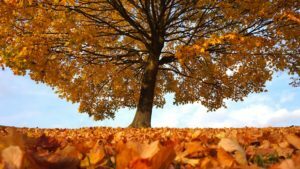 I talk about my love of reading and writing all of the time this blog, so I’m going to branch out and talk about some of the other stuff in this world that makes me happy. Oh, and I’m bending the rules and talking about two different topics because it was impossible to pick between them. If we were all sitting together in a room and didn’t have Internet access, I’d probably ask everyone if they wanted to play Clue, Scrabble, or Life. There’s something so relaxing to me about the simplicity and predictability of them. I see playing board games as a chance to bond with friends, so I’d much rather spend my time chatting between turns than trying to remember a complex set of rules. 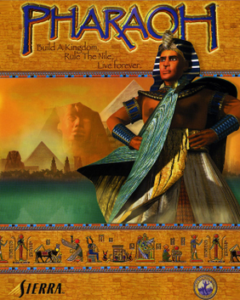 When I was a kid, my favourite video game was Pharaoh. It was a city-building game set in various points of Egyptian history. I loved deciding where my characters should build a pyramid and planning out the designs of my cities. These days, I spend my video game time building homes, digging mines, and fighting monsters in Minecraft. As long as no monsters sneak up on me while I’m working, it’s a very relaxing way to end a day. A few months ago, I started playing Dungeons and Dragons occasionally, but I don’t know enough about that topic yet to go into much detail about it. It’s far more complicated than I ever would have imagined! Why do I love games so much? Well, most of the ones I play ask you to use your imagination. There are very few things in this world that I find more interesting than needing to do that. I’m a weightlifter. It’s a form of exercise I first tried about four years ago, and it’s made me feel so good to grow stronger as a result of this hobby. I’m a short and petite woman, so every bit of strength I gain makes a huge difference in how I look, how I feel, and what I’m capable of doing. Walking outdoors – preferably as close to nature as I can get to as a city person – is another fitness activity that I really enjoy. I originally tried to get into running, but I found that long, brisk walks were much more my speed. I like being able to take in my surroundings and notice that squirrel darting up a tree or a neighbour’s dog playing fetch in the distance. Talking about this is making me very glad that spring is around the corner. I can’t wait to go to the park again. Why do I love working out so much? Well, it makes me feel really good. I get an endorphin rush from cardiovascular exercise, and I really like the way weightlifting improves my life. There’s something thrilling about picking up a heavy laundry basket or bag of groceries and realizing that they feel a little lighter than they did the last time you needed to do that chore. It’s almost like gaining a superpower! Click here to read everyone else’s replies to this week’s question. 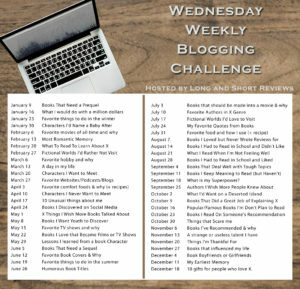 This is the list of upcoming prompts for this blog hop. Wow, it’s been a long time since I’ve reviewed a workout video here. it’s time to change that. Fitness Blender creates the videos I use for the vast majority for my weightlifting workouts. Kelli and Daniel are the couple who created and own this brand. Their Youtube channel and website offer free workouts for every fitness level. Between each muscle-building exercise, she spent 20 seconds jogging in place. This is a good routine for more experienced weight lifters. I would not recommend it to beginners due to the intensity of the moves. All of the videos from Fitness Blender that I use require a minimal amount of equipment. For this particular one, you’ll need a barbell or dumbbell. If you happen to own a yoga mat, that extra cushioning can be useful for the cardio portions of this routine. It’s not strictly necessary, however. The last five minutes of this video are dedicated to cool-down exercises, but it doesn’t have any warm-up activities. I’d recommend warming up on your own before beginning it. This is one of my all-time favourite workouts, so you’re going to hear a lot of complimentary things about it today. The lack of background music was one of the first things I noticed about it. While I like background music when I’m doing a dance video, I find it distracting for most other types of exercise. It was nice to not have to think about it during this video. Instead of instruments or the sound of people singing, the only noises you hear on this video are of the narrator explaining which moves are coming up and discussing how they affect your body. There were alternatives suggested for people who couldn’t do the full range of motion for certain moves which was helpful. It was also interesting to hear Daniel talk about how your muscles will react if you’re able to do the moves the way Kelli was in this workout. I only ever felt encouraged by his descriptions. It was fascinating to hear how the human body works and how it can adapt to new challenges over time. While Kelli did jog in place between all of the exercises, I appreciated the fact that participants were encouraged to find their own level of activity between sets if they weren’t able to jog every time. Honestly, I can’t jog in place for the entire workout every single session. There are times when I need to walk instead, especially at the end, and that’s perfectly okay. One of the unique features of the Fitness Blender brand is an icon on the right hand side of the screen that shows you how much of the workout you’ve currently completed as well as how much of it you still have to go. It looks sort of like a thermometer, and the color of it changes from green to yellow to red as you progress further into the routine. I can’t tell you how many times I’ve used this feature to see how long I have left to go and to find another burst of energy when I know we’re getting close to the end. The weightlifting exercises themselves are challenging for me in a good way. When I first began using this video, I was a little sore the next day. While my body has grown stronger and adjusted since then, this routine is by no means an easy one for me. I enjoy being challenged in this way, and I can see myself going back to it over and over again for quite a while yet to come. I also enjoy the cool down portion during the last five minutes. By the time it comes up, I’m usually covered in perspiration and totally ready to take a break from exercising. All of the stretches in the last few minutes are a nice bridge between weightlifting and the quieter portions of my day that are soon to follow. Honestly, the thing I’d change about it if I could would be to include a short warm-up at the beginning. I find that I am more diligent about warming up properly when I have someone else telling me which body parts to stretch and for what period of time. Going to the trouble of actually warming up for it is well worth the effort, though! There’s something about the autumn season that makes me want to write out lists and accomplish things. Maybe it’s because of how much I generally looked forward to school beginning again when I was a student. A blank notebook can hold an endless number of possibilities. Several months from now they’ll be full of lecture notes, but there might be poems or little drawings scribbled in the margins. The smell of fresh paper is enticing, too. An unread textbook is often full of interesting things that you never knew about the world before. Sometimes I even read parts of my textbooks – especially the literature ones – that were never assigned to us for the sheer fun of it. It’s been well over a decade since I took any courses, but I thought this year it might be helpful to set a few non-academic goals for myself. This post will be shorter than usual. 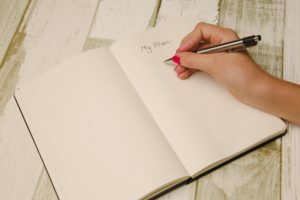 My goals are fairly simple, and I see no reason to pad them out since they don’t require a thousand words of explanation. 1. Spend One Hour a Week Lifting Weights. I’m currently recovering from a minor injury that temporarily derailed my normal weightlifting routine. As soon as I’ve healed, I’m going to leap back into my normal routine of lifting free weights. I can’t tell you how much I miss that. In the meantime I’m trying to do some bodyweight activities that don’t aggravate my injury to keep up my strength as much as possible. 2. Meditate for 20 Minutes Every Day. Honestly, my meditation habits have been pretty erratic these past six months. That needs to change. 3. Join New Social Groups. One of the downsides of being a writer, and especially a full-time writer, is how much time we tend to spend alone typing on a keyboard. While I’m incredibly grateful for the many benefits of this career choice, I think it would be healthy for me to get out and socialize with other people at times. Ideally, I’ll find at least one group that had nothing to do with writing so I can meet people from other professions and walks of life. I’m open to all possibilities, though, and hope to blog about my experiences once I find a couple of groups that suit my interests and schedule. 4. Write My Second Sci-Fi Novel. This is by far my biggest goal for the autumn. A while ago I began a novel that was about a woman living in what used to be Arizona several generations from now after climate change permanently altered the landscape there and North America at large. I got stuck 30,000 words into it and have yet to finish it. I’m hoping I’ll be able to figure out how to do that one if I work on a entirely new story in the science fiction genre. I’m tentatively planning to check back in with my readers in December to discuss how many of these goals I’ve reached and what’s happening with them in general. My hope is that I’ll be very motivated to accomplish them now that everyone knows what I’m trying to do. One of the biggest misconceptions some people have about getting fit is that it requires a significant investment of money in the beginning if you’re starting out with little to no equipment. A few nights ago, I took a stroll around a dollar store to see what kinds of health and fitness items they had for sale there. I jotted down everything I could find that could somehow be connected to this topic, and the list was much longer than I ever would have imagined it would be. Seriously. I was expecting to find maybe ten things there, but I ended up finding closer to a hundred of them if every category is fully expanded to include every example in them. First Aid supplies (bandaids, disinfectant, etc). Beach toys (small shovels, plastic molds for making sandcastles, etc). Gardening tools (hand rakes, small shovels, etc). Sports equipment (rackets, balls, etc). Some of the items on this list did cost more than a dollar, but all of them were very inexpensive in general. Whether I was planning to hike, swim, build sandcastles play any number of sports, jog, lift weights, stretch, do yoga, garden, go camping, or participate in any number of other activities, there were products for almost every type of exercise one could possibly imagine. I was seriously impressed by their selection. Why am I recommending checking out your local dollar store if I believe in minimalism and buying quality over quantity? Several years ago, I bought a sun hat from the dollar store that suits my purposes perfectly when I want to exercise outdoors on a sunny day. Was it fashionable? Well, only if you’re a time traveller from 1995, but I’m not the kind of person who worries about how trendy I look when I’m working out. Why spend $60 on something like that if you can spend $2 or $3 instead for the exact same outcome? For the kinds of activities I do, the type of hat doesn’t matter in the least. Anything that shades my face and neck from the sun will be more than adequate for my purposes. For example, I like the idea of playing badminton. Every so often, I toy around with the thought of playing that sport as part of my fitness routine. As mentioned above, the dollar store carries badminton equipment. While it isn’t made from high quality materials, it would be the perfect thing for me to play around with if I ever decide to finally add this sport to my list of preferred activities. Spending a few dollars wouldn’t break the bank, and I could go to a secondhand store or a regular store to find much sturdier equipment if I decided that this was something I wanted to play more than occasionally and my original racket broke. I’m very protective of the few possessions I have that are top-notch. Anyone who wants to borrow them has to earn my trust first, and I’d horribly disappointed if they were damaged, lost, or destroyed in an accident or through someone else’s carelessness. There are certain places that I really wouldn’t want to take those items to due to the risks of them being exposed to the water, dirt, or sand that could ruin them. The nice thing about dollar store purchases is that you don’t stand to lose hundreds or thousands of dollars if they’re accidentally broken or lost. I wouldn’t hesitate to lend out something like a hula hoop or a pool toy I bought from the dollar store to a friend or relative. If that item was later returned to me in pristine condition, great! If not, I’ve only lost a few dollars at most. Replacing it won’t hurt my bottom line at all, so I don’t have a problem lending it out or taking it places where the risks of something happening are higher than usual. What’s At Your Local Dollar Store? 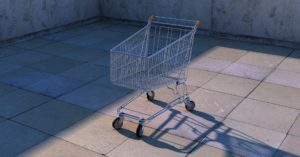 Assuming you live in a part of the world that has dollar stores (or pound shops/variety stores, as they’re sometimes called), what kinds of health and fitness items have you spotted there? I’d love to compare my list with yours!